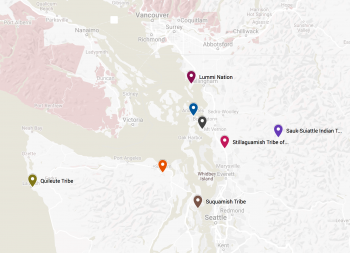 There are several free, online tools available that can help you understand how the climate is expected to change across the lands and waters of concern to your tribe. Below are links to several high quality tools to get you started. 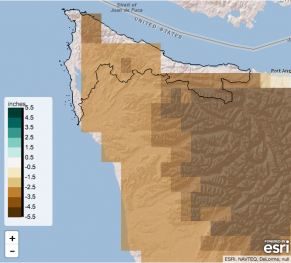 Custom climate data for Northwest and Great Basin tribes. 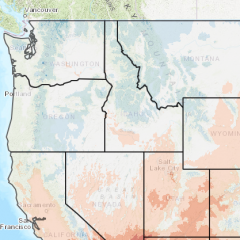 The Tribal Climate Tool allows you to explore projected changes in a range of climate-related variables (e.g., temperature, snowpack, stream temperature, fire) across specific lands and waters of importance to Northwest and Great Basin tribes. Other climate change tools that include different climate variables and other geographies across the U.S. This tool graphs and maps observed and projected changes in climate variables. 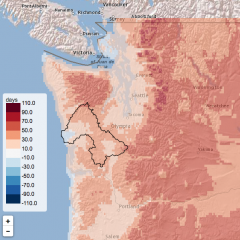 The Climate Explorer is a tool that allows you to access graphs and maps of observed and projected changes in climate metrics including temperature, precipitation, growing degree days, and cooling degree days for every county in the contiguous U.S. Climate projections for two possible futures are presented in this tool: a lower greenhouse gas scenario (RCP 4.5) and a higher greenhouse gas scenario (RCP 8.5). Climate projections are available through the end of the 21st Century. Observational data is available between 1950-2013. 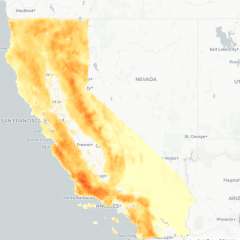 This tool provide charts and maps of observed and projected climate variables for California. Cal-Adapt is a tool that allows you to access a wide array of climate data and accompanying visualization tools. Users are able to access data related to temperature, precipitation, snowfall, wildfire, drought, streamflow, etc. The geographic extent of the projections vary between variables but are typically available for the entire state of California and Nevada and for parts of Oregon, Arizona, and Mexico. Climate projections are available for two possible futures: a lower greenhouse gas scenario (RCP 4.5) and a higher greenhouse gas scenario (RCP 8.5). Climate projections are available through the end of the 21st Century. Map and time series summaries of future climate. This tool maps climate and hydrology information from the past, present, and future across the United States. 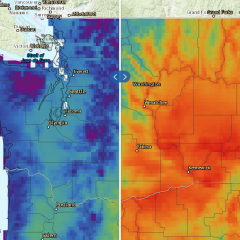 The tool provides a shared mapping interface for visualizing recent climate and hydroclimatic data as well as seasonal climate forecasts and longer-term climate projections for the US. Additionally, several variables are mapped that have more direct application to agricultural and fire management interests. A selection of links to access climate data that may be relevant to your Tribe. Fact sheets of resilience resources for each Tribe, including climate data and maps.